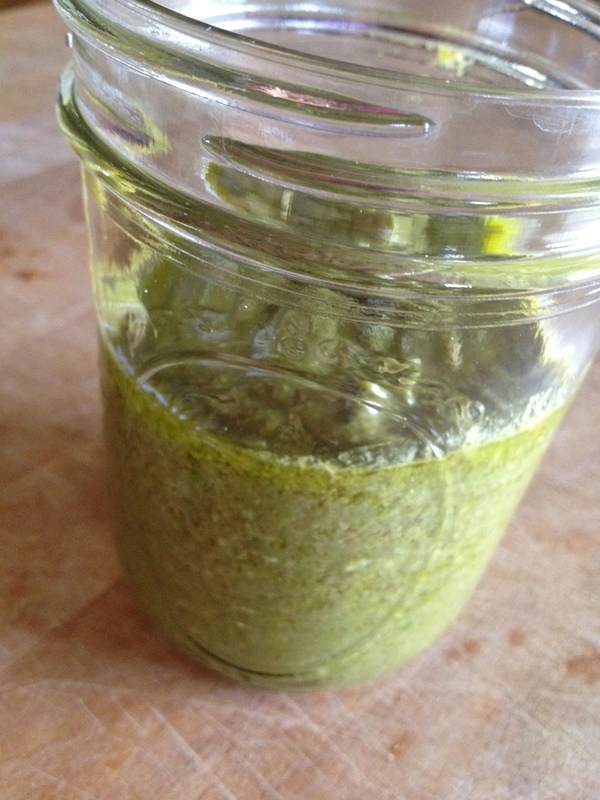 When my basil gets overgrown, I make a batch of pesto, use some for one of our meals, and them divide the rest and freeze it. This time I utilized another freezer staple- sweet peas. In place of the traditional (and expensive) pine nuts, I used almonds because that is what I had on hand. I also used a bit of broth in conjunction with the olive oil so we get the health benefits of the oil but also cut down a bit on the calories. Place all ingredients except one half of the oil into a food processor. Process on high and slowly add remaining olive oil until you reach the desired consistency.